Cloning plants is not a process that requires a laboratory and a lot of special equipment. You can clone a plant with a pair of garden shears and a cup of water. A clone is simply a plant cutting that develops roots and becomes a new plant. Plants will root well in soil, but you can also root certain plants in water. 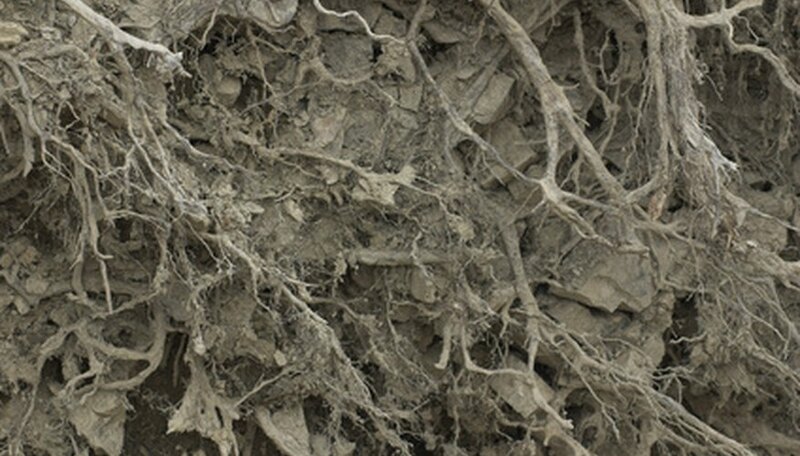 The ability of plants to take root in water may be enhanced if you use water soaked in certain hormones such as rooting powder or boiled willow branches. Select a plant to clone that will root well from cuttings. According to NC State University, woody ornamental plants, houseplants and some softwood trees root well from cuttings. Hardwood trees do not root well from cuttings and aren’t suitable candidates for cloning. Time your attempt to root a cutting for early spring. Choose a plant that is healthy and disease free. Young branches will take root better than older branches. Pick a section of new growth with no flowers on it to take your cutting from. Flowering branches will not root as easily as those without flowers. Sharpen your pruning shears before taking a cutting to avoid injuring your plant. Position the shears at a point just below a spot where a leaf emerges from a tree (the leaf node). The cutting should be long enough that there are three leaf nodes between the point you cut and the tip of the branch. Slice straight across the branch. Remove all leaves, stems and buds on the lower two-thirds of the cutting. Fill a cup full of water and place it on a seed warming mat or heating pad. The pad should keep the cup of water at a constant 70 degree F water temperature. Set aside a houseplant that exudes sap such as a geranium or impatiens for a few hours before attempting to root the plant. This will help reduce the chance that the plant’s stem will rot in the attempt. Dip the cutting in rooting hormone or use water that has been boiled in willow branches. Place the cutting in water so it is submerged halfway. Lift the cutting out of the water once daily and stir the water to oxygenate it. The roots should emerge within a few weeks. At this point you can pot the plant in soil. If you attempt to root hardwood cuttings, take the cutting in fall once the plant becomes dormant. Store it in a cool dry location throughout the winter and make an attempt to root the plant in spring. Stiffer cuttings can be inserted into floral blocks to help hold them upright.